Hello! It's Hannah from The Classroom Key. At this point in the year you're probably looking for anything to keep your kids busy and focused. 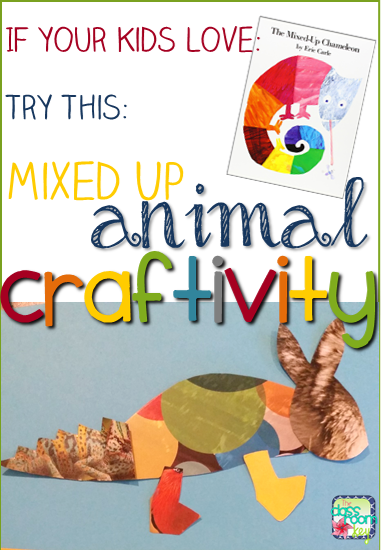 Here's a great activity that connects nicely with The Mixed Up Chameleon by Eric Carle. Students use the printable templates to trace and cut out animal parts. Then they arrange them and glue them down to make a new mixed up animal. This project also ties in nicely with science because you can talk about how animals have specific features to help them survive in their habitat.